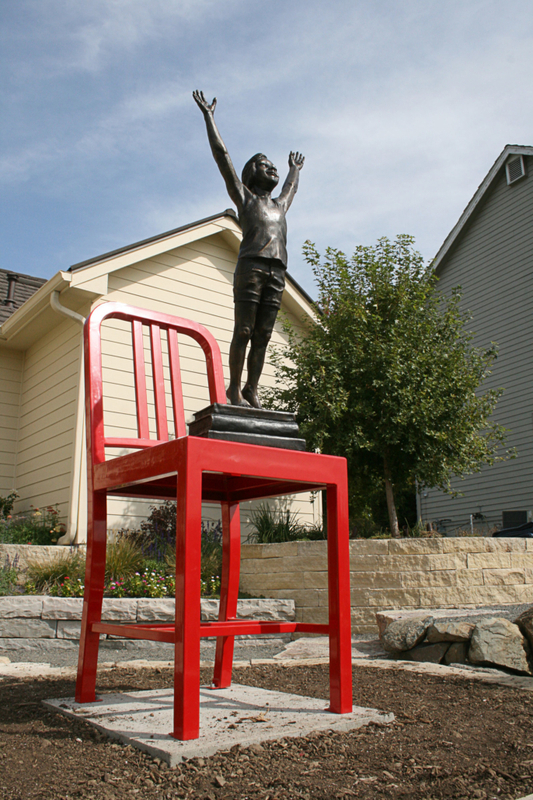 The Heights is a celebration of the liberating power of books for children. 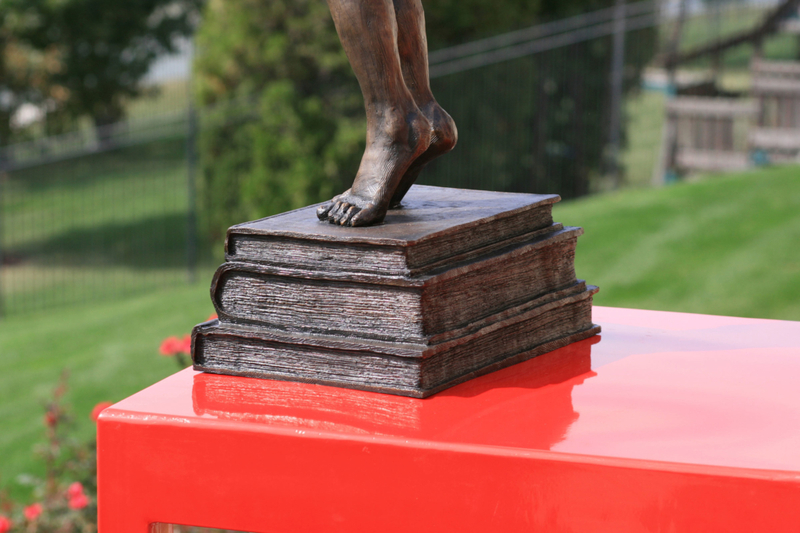 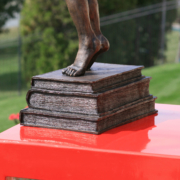 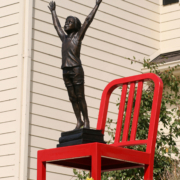 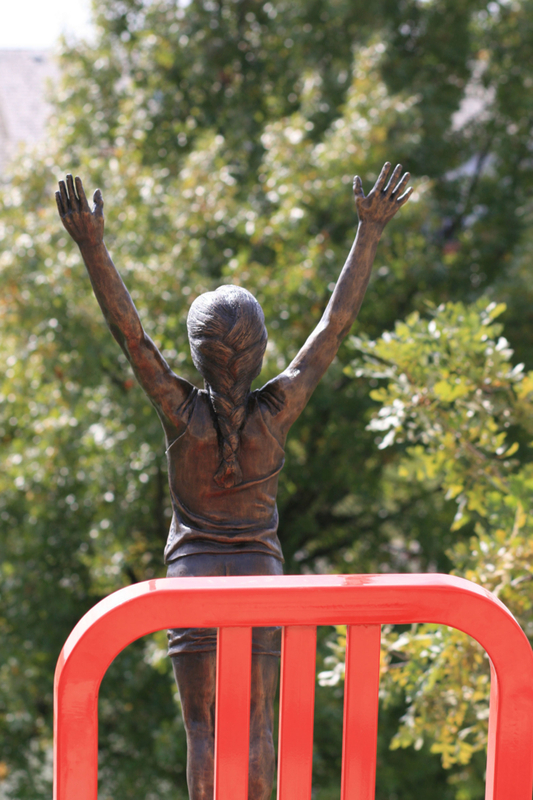 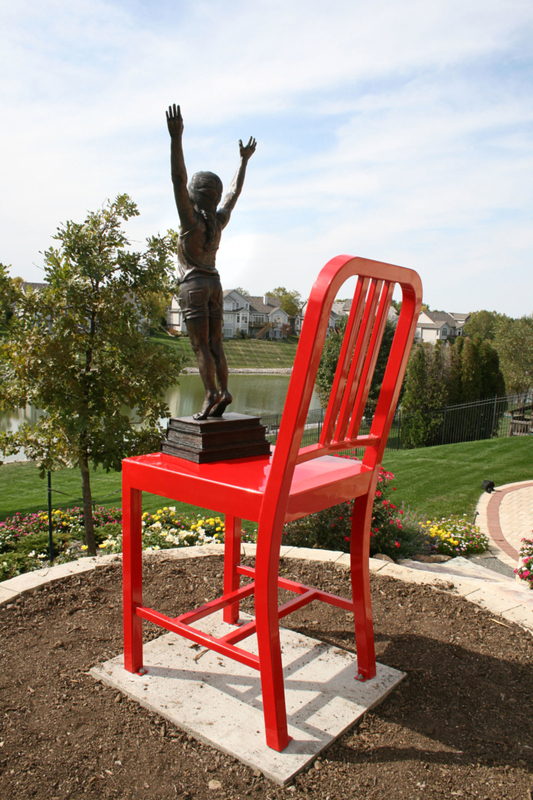 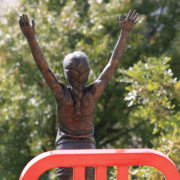 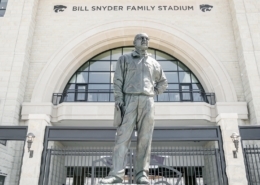 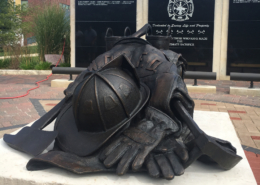 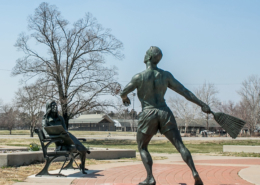 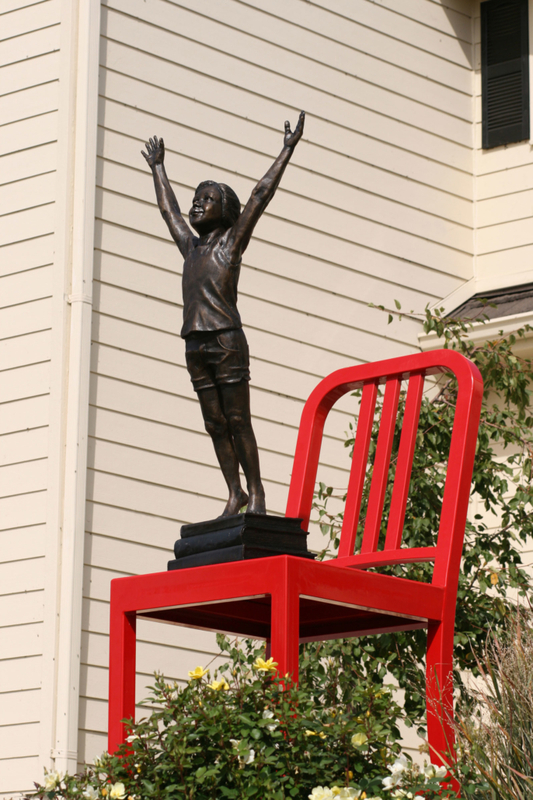 The sculpture combines a bronze girl jumping off a pile of books and a powder-coated steel chair. 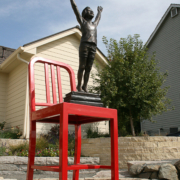 The chair is oversized to emphasize how gigantic the world seems in the eyes of a child.